If you're going to start a new TV Revolution some super-sized billboards are a good way to start and NBC's new sci-fi drama isn't afraid to spend big on both U.S. coasts to get our attention it seems. 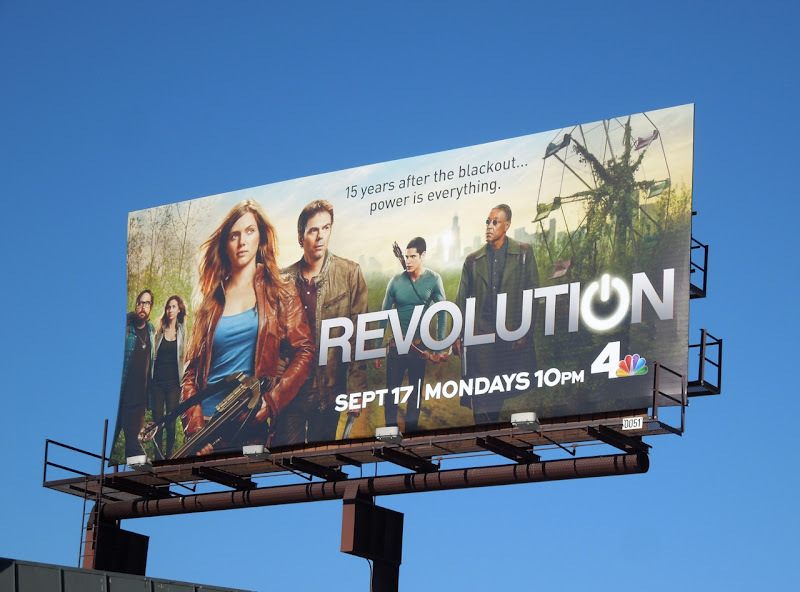 There's always one show each television season that really catches Daily Billboard's imagination and this Fall Revolution is the one to watch, in our humble opinion. 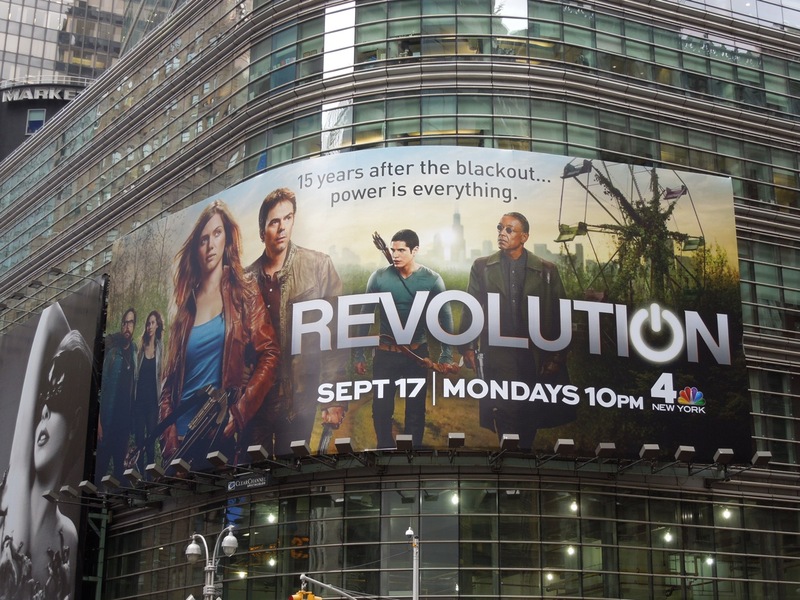 But when J.J. Abrams is involved in a project, how can you not be excited, right? 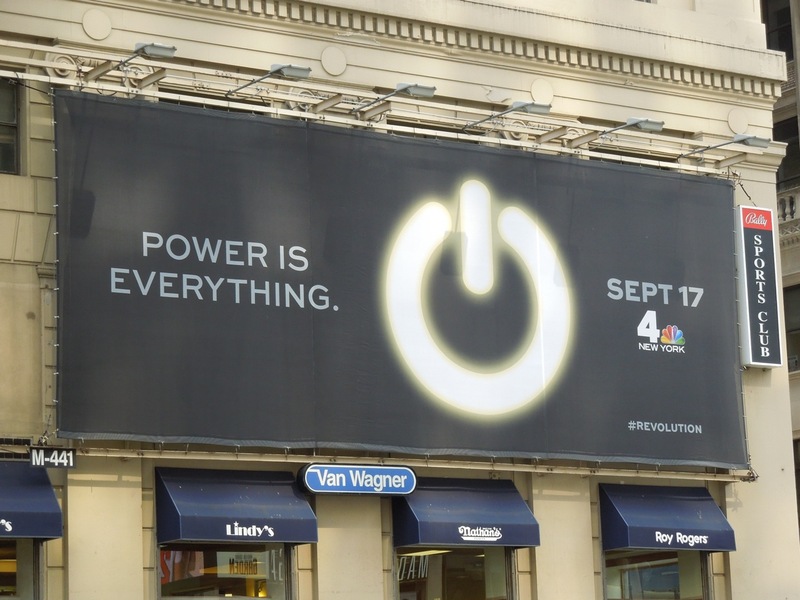 Daily Billboard also like the gimmick in the show's title with the 'power button' symbol replacing the second 'o', as the premise of the show centers on an apocalyptic future world without power and advanced technology. 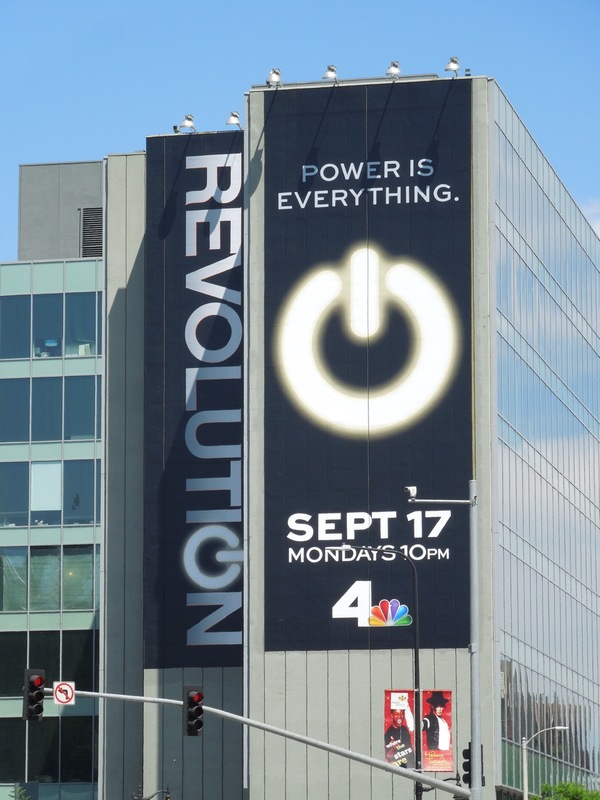 The only issue with these billboards for the new show is that if they how no power, how do they wash their clothes and get them looking so clean, or even make clothes that fit so well 15 years after a blackout? 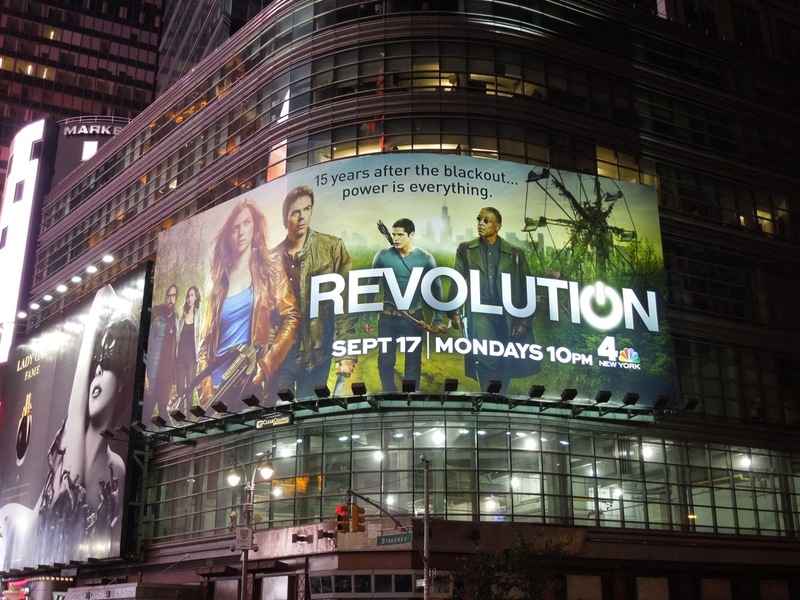 From the looks of things people have resorted to tried and tested weapons, like crossbows and traditional bows and arrows, to help protect themselves from all the power-crazy warlords and militias of this futuristic world. 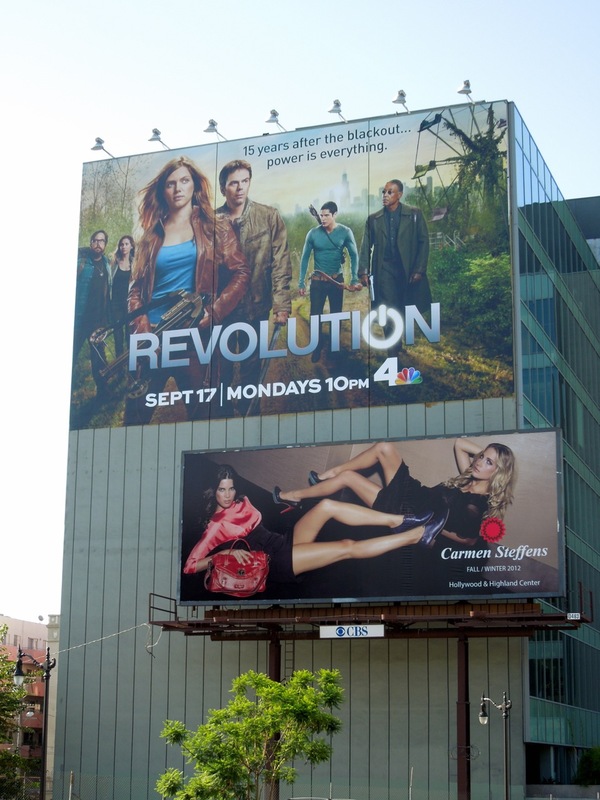 These tantalising billboards were snapped around the streets of L.A. (Beverly Boulevard and at NBC Studios in Burbank) and New York City, including a duo of giant-sized creatives at the intersection of Highland and Franklin Avenues in Hollywood on August 15, 2012. 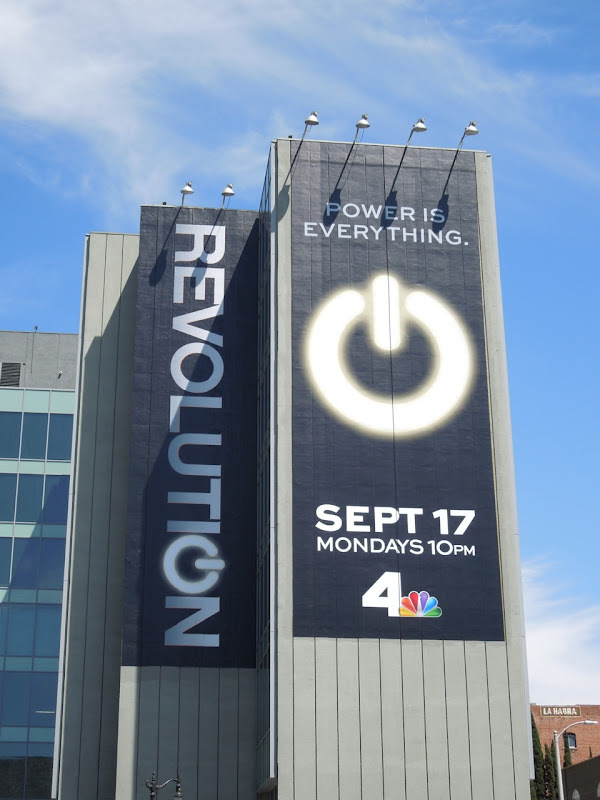 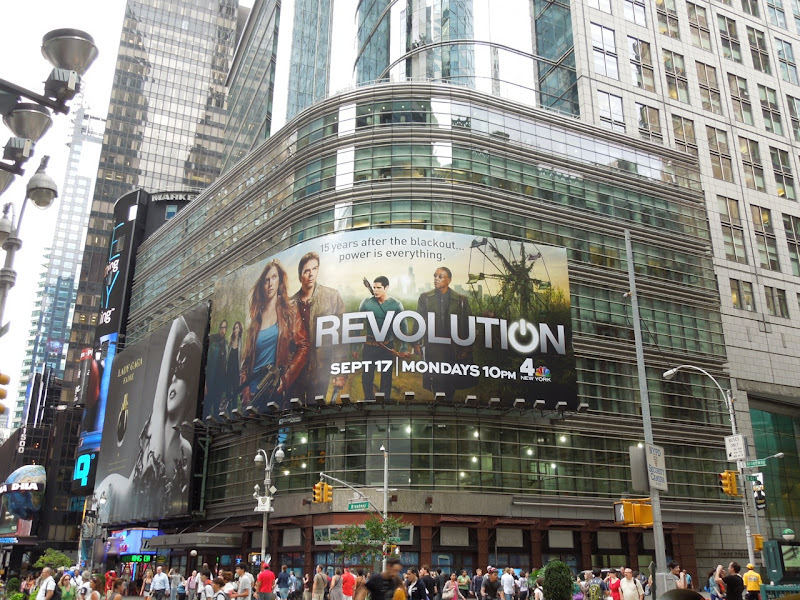 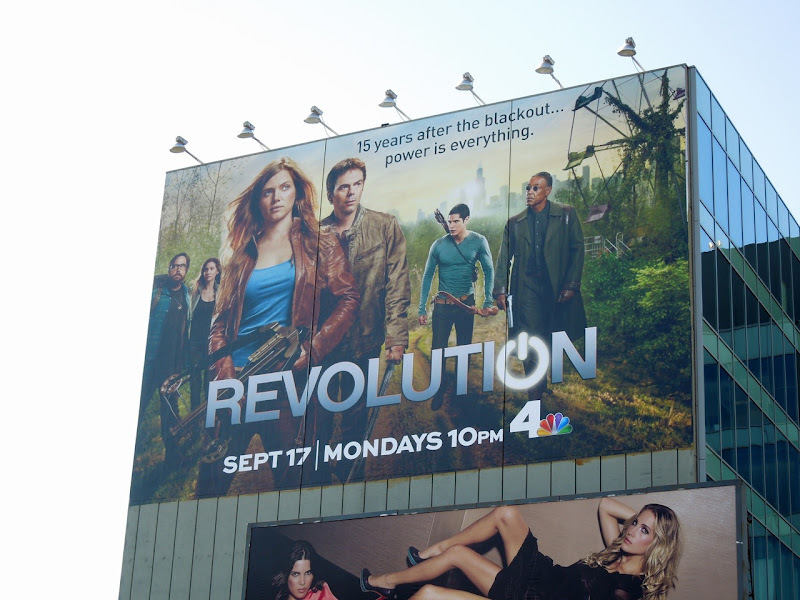 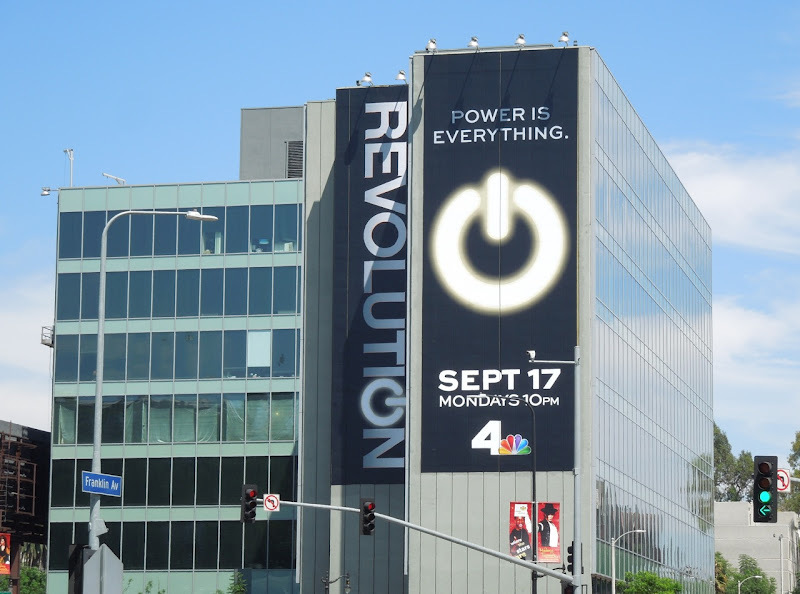 Other billboards for Revolution's premiere season were spied along Manhattan's 7th Avenue and along Broadway above bustling Times Square in New York on August 28, 2012. 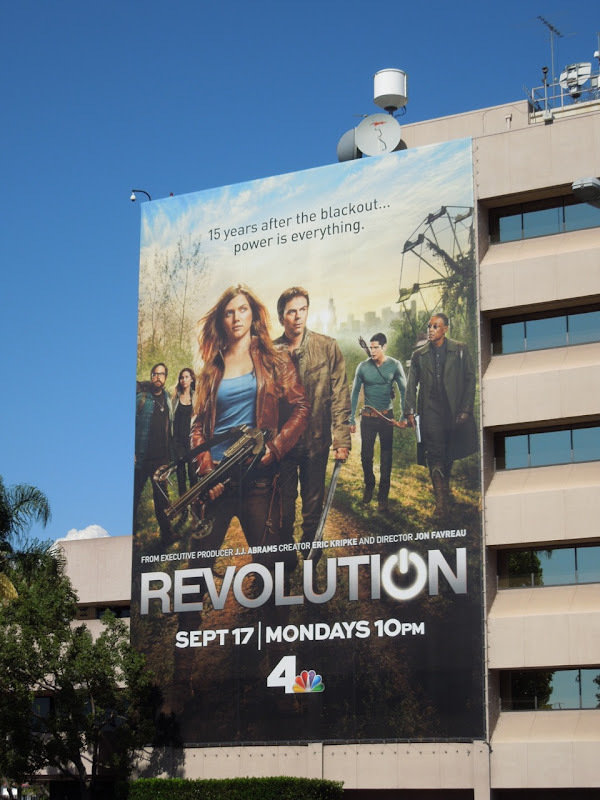 Only time will tell if Revolution turns people on or makes them switch off, but these cool billboards are certainly a a great way to kick-start the new show.